I love Texas BBQ fests. They are not a competition, but rather a celebration of great food. 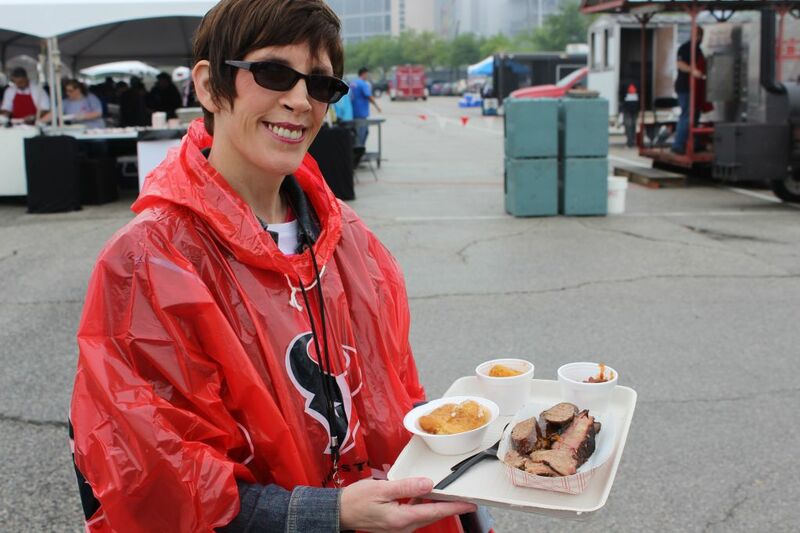 With the exception of the sauce contest contained within the Gettin’ Sauced festival, there are no “winners” designated at the big Texas BBQ festivals. This is a great thing as it removes (some of) the competitive nature and becomes more like a party than a contest. 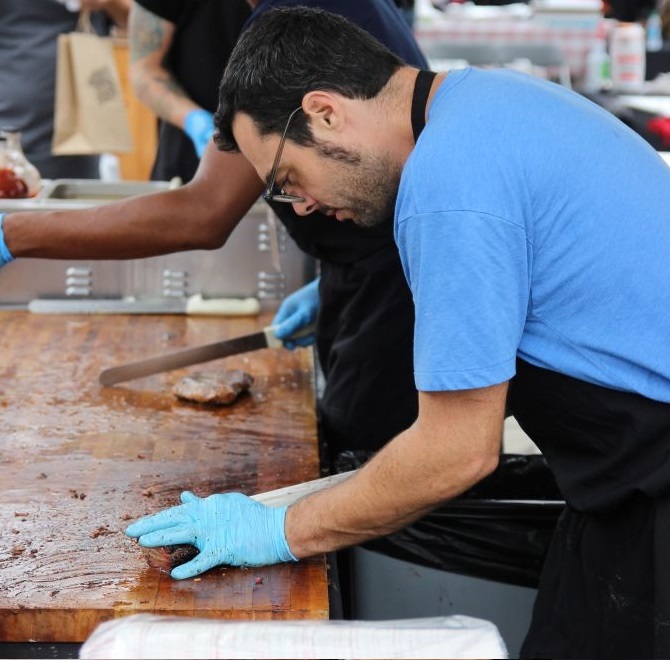 A barbecue contest or cook-off is a different experience entirely. I am not a big fan of them; some of are not very spectator friendly and the type of barbecue that is tailored for and judged at a barbecue cook-off is not my preferred style of ‘cue. 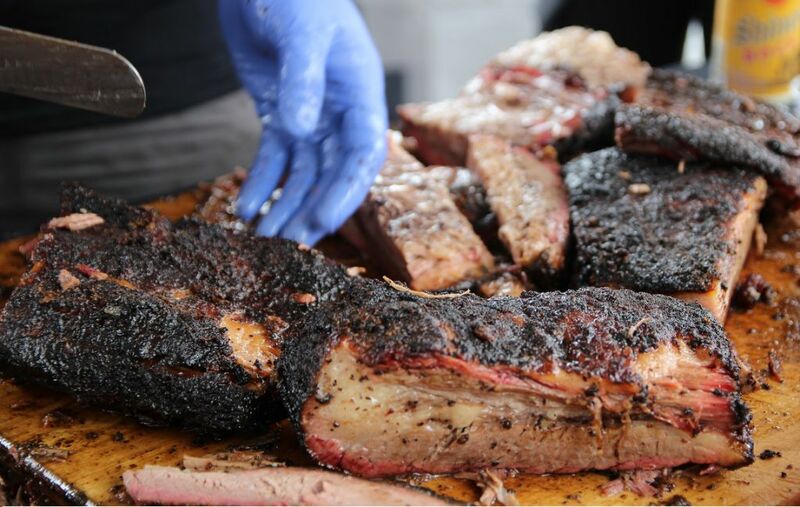 Texas Monthly’s TMBBQ fest, Houston’s HOUBBQ Fest, Gettin Sauced, Red Dirt BBQ Fest, Smoked Dallas, St. Arnolds BBQ block party, Carnivores Ball, and others are brilliant events and I highly recommend to check them out. We’re in the middle of Texas BBQ festival season and in the month of October there are three available; Smoked Dallas, Gettin’ Sauced, and Carnivores Ball. 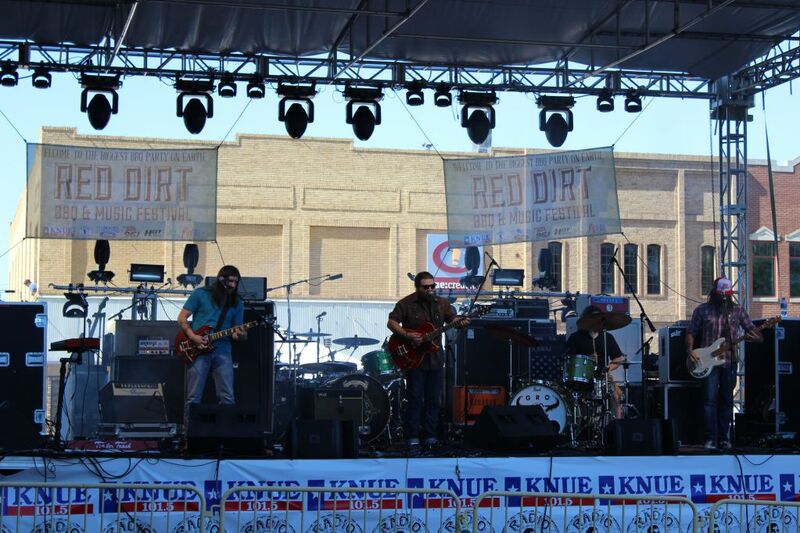 Mix in live music, adult beverages, and other entertainment options and it’s a big party Texas Style. 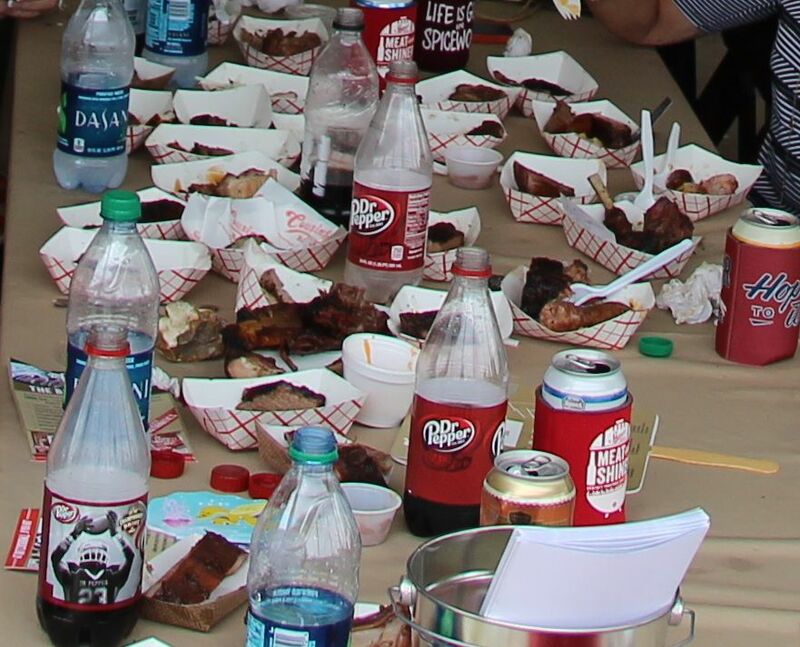 For an overview of Gettin’ Sauced 2013, HouBBQ 2014, and Red Dirt 2014, click here. 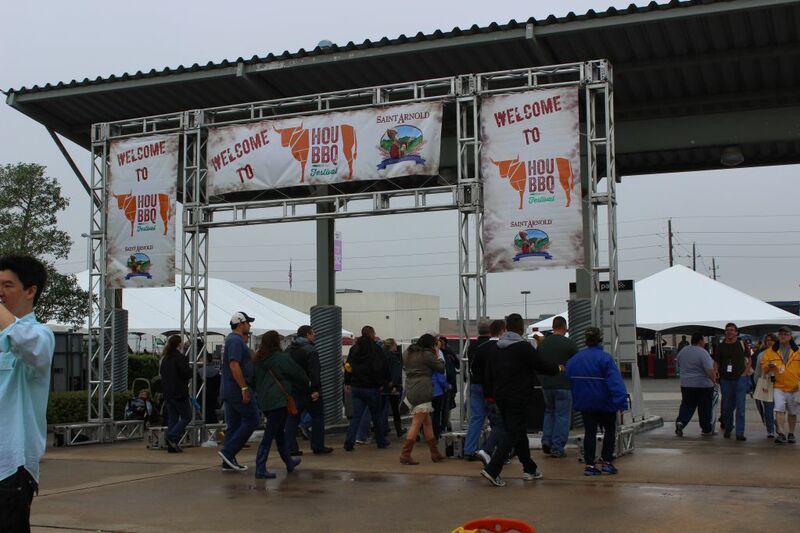 TMBBQ is the big daddy, with twenty five BBQ joints represented this year. 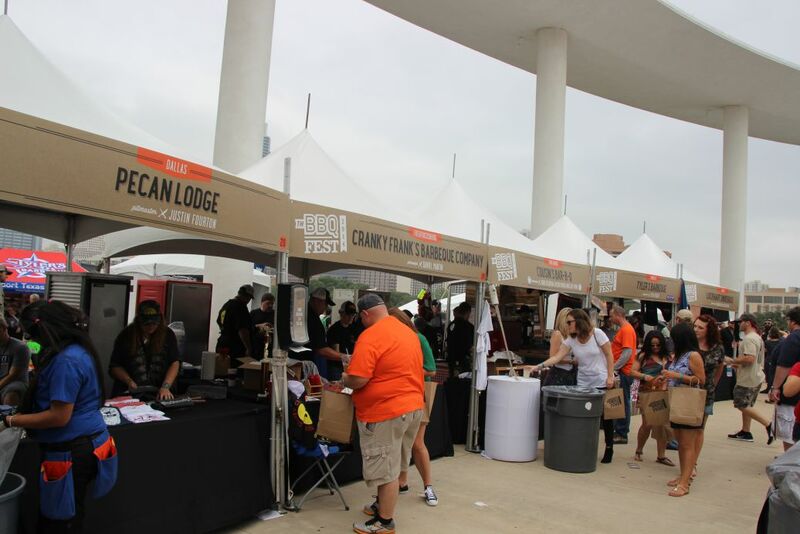 Any of the barbecue fests though are a great way to sample multiple vendors from different geographic regions that one might otherwise be unable to accomplish in a single day. Meeting up friends and family in a central location is also a great excuse to come and enjoy the offerings. While they are busy, the pitmasters are very courteous and take time to pose for photos and sign autographs. If you didn’t already know, great pitmasters in Texas are like rock stars. I’ve had an absolute blast at these events but quickly learned that one shouldn’t judge the quality of the barbecue at one of these events. There are a number of factors involved but first let me say to just relax and enjoy the barbecue. Really. There isn’t a reason to try and take a festival too serious. It’s a party and should be enjoyed as such. Do I have my favorites from each festival? Yes, absolutely. However, I don’t believe that it is really fair to evaluate a joint’s overall quality based on one or two samples on a festival day. Barbecue Fest organizers help supply the meat to the participants. They either purchase the meat for them, or give them a stipend to purchase themselves. Organizer supplies the meat: If they purchase the same meat it is the same across all participants, but it will not be the same that many of them normally use. There are three primary grades of meat, and variations in the suppliers. Some barbecue joints have perfected the Select grade, while many use Choice, and a few elect to use Prime/Top Choice. At first I thought this would be a great equalizer since all joints would use the same base product. However, since some might be smoking a similar grade and supplier that they normally use, and others might be using one they are not familiar with, the end result can be inconsistent with their normal finished product. Even if they smoked it to perfection, it may not be what they offer on a normal business day. Organizer provides a stipend: Here’s where it can get crazy. While some joints order from their normal supplier, some will go above and beyond. Two separate joints at two separate events stacked the deck a little by buying a higher grade of beef than they normally serve. This means that what you sample at the fest is not what you get when you visit them at their normal location. One participant may also smoke a wider variety meats than other joints, which is perfectly fine, but also can add to your perception if joint “A” has only brisket and sausage but joint “B” also has turkey and pork ribs. The pits that a barbecue joint hauls up to the fest are most often not the pits they use daily. There are some exceptions, of course, as several may use one of their secondary pits or in the case of a smaller establishment like Brooks’ Place, they may haul their entire business on site. One other exception is that they may elect to smoke the meats at their restaurant and bring the product to the festival in warmers. Before you say “Eww, reheated meat” you need to understand how brisket is usually done. After smoking it is pulled off and let to “rest” for one to two hours before being served. It can be held at temperature for several hours more. This is not reheating the meat, and is perfectly normal. In fact, this method is actually the closest to the normal way it is prepared, so bringing the meat pre-cooked is fine within a range of hours. Beyond the exceptions we get to the secondary, backup, or catering pits. The secondary pits are not always used to smoke all of the meats, so while they may be used to smoking a rack of ribs on one particular pit, they may have rarely smoked brisket or sausage on that same pit. Trying to smoke brisket, ribs, and sausage on a pit that is normally used only for ribs can be tricky. Getting to know a pit’s hot-spots and temperament is critical to producing a quality product, and inexperience with a pit can throw a high quality establishment into fits as they try to produce the same consistency as they do at their daily business. 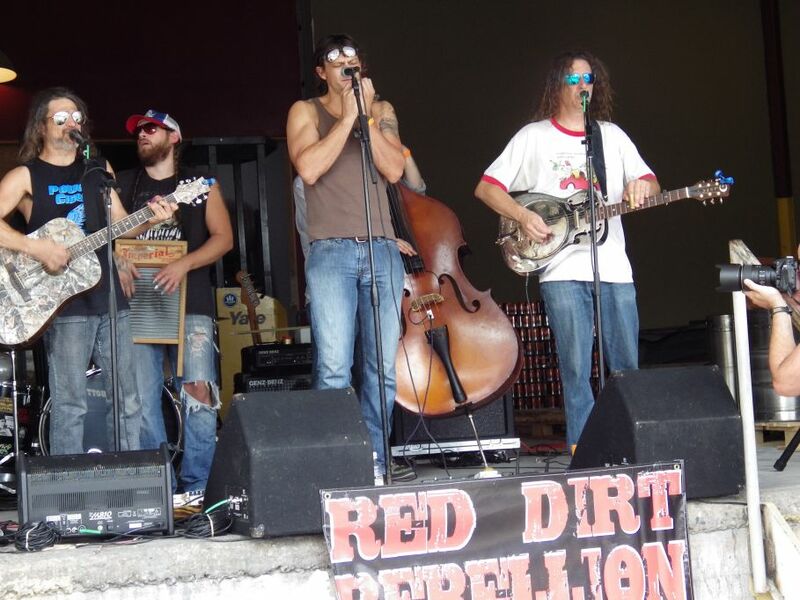 Occasionally an establishment even borrow a pit for a festival if they don’t have one available. Being completely unfamiliar with a pit is potential disaster, but in the one case I witnessed, the end product was actually darn good. I really haven’t seen this be much of an issue, but you may get a smaller piece that has less bark or more fat than you are used to. On the point end of the brisket you may get the top half or bottom half rather than a piece that contains both; this can lead to a misinterpretation of the product you would get on a normal day. You’re getting around a 2 ounce or so piece of brisket. On a 6 pound (finished weight) brisket that’s 48 servings. The number of briskets used can vary greatly but if we use 50 as an estimate, that’s 2,400 servings. Of course the sample size can be larger and number of briskets cooked can be fewer, but just for argument’s sake, you would be sampling one of around 2,000 samples from a single vendor that may occur that day. It certainly is possible that your sample #455 doesn’t taste the same as sample #932. To proclaim that the business has poor, or great barbecue based on only one or two samples on the same day just isn’t fair. This one can make a difference when it comes to brisket. Cutting a brisket too thin, cutting with the grain, or giving a customer that prefers lean brisket a big fatty slice can significantly impact that individual’s impression of the overall quality. Efficiency is important at a festival with a long line of hungry customers. Some joints may keep their primary business open which thins out the staff, and/or may bring in volunteers to slice the meat and keep the line moving. Normally the meat cutting is reserved for an experienced hand, but I have seen on occasion where a less skilled individual manned the knife and it made for a less enjoyable cut of meat. Whether you were to receive a great or a lesser quality sample on festival day, the quality of food you receive at the establishment’s normal location on a particular day can be a very different experience. I was told by Daniel Vaughn that the rule of thumb is at least three visits on different days and times should occur before you make a judgment. I will say that this should be followed and even expanded to five visits if possible. I have had some surprisingly less-than-good visits to highly revered joints. In some cases return visits redeemed the reputation that they held. In other cases, it shifted my opinion of the joint downward. On the other end of the spectrum I can be a little more critical. If I have truly bad barbecue on my first visit, I may relegate that establishment to the bottom of my return visit priority list. There are around 15 joints that I have visited once and have no desire to return to any time soon. I won’t post a negative review because they deserve at least three visits anyway, but this is an expensive hobby and I’d prefer to use that money for a second or third visit to a joint that at least offered decent barbecue. Every joint, and every pitmaster can have a bad day, but it’s the great pitmasters who can notice a particular cut isn’t up to par and dispose of the costly meat rather than serve it. I have witnessed this on at least two occasions; a pitmaster has tossed away meat that would pass for good at a lower end joint just to ensure his customers receive consistently high quality product. However, this doesn’t always happen and the head pitmaster isn’t always around. Mishaps like blown tires and axles have caused joints to roll up to the fest with far less time to prepare than normal. With less time they may be forced to cook with higher temperatures than normal which can throw off quality. Also the owner may be worn out from trying to keep their normal business running and just be off their game. Incidents happen unfortunately but the show must go on, so the owner will do their best to provide a quality product. Once again, the goal of these fests is to celebrate great barbecue. My recommendation is to relax and just enjoy the event.